I felt like the interface when using concordance was pretty user friendly. It was also easy to run searches as long as the words were picked up correctly. Often documents that were images that were scanned to text did no scan properly so searches would miss words. It is an easy to use interface, however sometimes scans to text would not pick up all the words correctly. Software for e-discovery has likely improved quite a bit since I was using this at a big law firm. There are probably products that are more accurate in picking up all the text. Also, Lexis has its limitations. Many firms are likely bound by contract to use them in order to use Lexis for traditional legal searches. There are likely some "hipper" products that could fill the gap in this niche market. Quick document review for discovery. "Easy to use; functional; makes e-discovery a breeze"
I don't particularly like the interface -- feels outdated. Viewing and sharing ediscovery items quickly and easily. It takes a lot of learning to get used to understanding all that can be done with the software. It is difficult to load documents that are created by third parties. Also, there does not seem to be a quick way to print all the documents when you need to print them. It has been a huge time saver and has saved a lot of money doing e-discovery rather than the old fashioned way. "LexisNexis offers minimal gains for IT departments. " LexisNexis allows users to find information in ways that ordinary software cannot. I wish that LexisNexis was easier to use for employees. My business used this software to sort through massive amounts of data and look up hospital accounts/information. "Worst review platform on the market"
Very little. It is comprehensive, so there is no need for add-ons. Concordance is clunky, slow, and generally a pain to use. It has no ability to handle native documents, so any production must be processed and TIFF'ed out before it can even be reviewed. I frequently handle matters involving very large (100,000+ documents, 1,000,000+ pages) matters; productions that large have been known to take 30 days or more to process and ingest into Concordance. There are better products out there that can ingest directly from native format, reducing that turnaround time to less than 48 hours. Don't use Concordance. There are better products out there, such as Eclipse and Relativity. None with Concordance. We are phasing it out. It makes it easier for the most part to search thousands of documents for relevant ones. Some of the features are difficult to use, such as saving searches or excluding certain types of documents. I have used this previously to complete document review projects in litigation. It was user friendly and very easy to run searches. Sometimes scans to text would not pick up all the words correctly. I have another product that I use that is more accurate in picking up all the text. Seems to be the standard platform for many colleges. Integrates well with CaseMap, another Lexis Nexis product. Customer support was helpful when running into issues. Learning curve seems hard for some users. "Not my favorite document management tool"
More efficient than searching for PDF documents on a server. Slow and difficult to search for documents. Tagging is not helpful later on. Not my favorite document management tool. I liked the ease of use and the fact that it had a short learning curve. The CPL Concordance Programming language was very hard to figure out. Mostly E-discovery problems. Not many. "Easy to use search base. " Ability to tailor experience to business. Needs more advance searching options. Would prefer better term association in searches. Ease of upload. Excellent searching capabilities. Excellent support. File naming always an issue. Redacting sometimes clumsy. Negotiate a long test period. 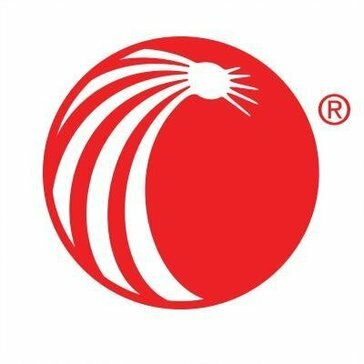 * We monitor all LexisNexis Concordance reviews to prevent fraudulent reviews and keep review quality high. We do not post reviews by company employees or direct competitors. Validated reviews require the user to submit a screenshot of the product containing their user ID, in order to verify a user is an actual user of the product. Hi there! Are you looking to implement a solution like Concordance?